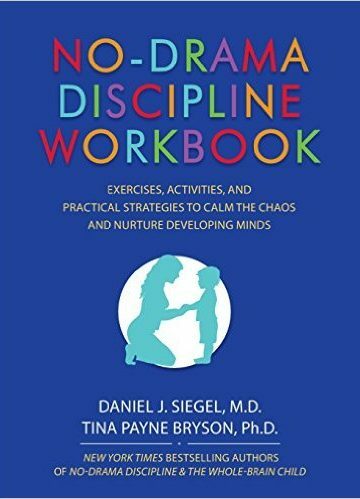 Based on their New York Times bestselling book No-Drama Discipline, internationally acclaimed neuropsychiatrist Daniel J. Siegel, MD, and brain-based parenting expert Tina Payne Bryson, PhD, have created a guide to manage and reduce drama in your interactions with your kids, and even decrease the amount of time you spend having to discipline. The goal is simple: discipline less on autopilot by developing a set of principles and strategies based on your own family dynamics. These stories, reflections, and exercises will help you think more deeply about the way you communicate with your kids, and provide opportunities for peaceful and nurturing conflict resolution. – Develop clear and consistent strategies for responding to misbehavior. – Move from tantrum to tranquility by connecting and calming. – Apply the three “Brain C’s” and understand how neuroscience impacts your disciplinary decisions. – Practice tips to remain firm and consistent in your discipline, while communicating with warmth, love, respect, and compassion. – Teach your child life lessons on how to relate to others, how to handle difficult situations, and how to control emotions and impulses.